Since 1986, Cedar Springs Water has been the number one choice among Newmarket and Aurora residents for home and office water delivery. We provide "The Best Tasting Water in North America" in individual, glass cooler, and standard cooler bottles in homes and offices throughout Canada. Although we have almost 30 years of friendly, professional water delivery in the bag, we offer other services, as well. These include selling and delivering water filtration, water purification, and water softening systems all over Canada. We provide fast, courteous service, and one of our drivers is in your area every 10 days to make sure you always have the water and supplies you need. If you prefer to create your own pure, crisp water at your home or office, then our water filtration systems are a great choice. These come in whole-home and under-sink varieties, giving you the flexibility to meet both your needs and your budget. You can choose the whole-home filtration system to filter your water as it enters the building, or you can opt for the under-sink variety to filter the water directly at the tap. To take things a step further, water purifier systems in Newmarket and Aurora help to remove debris from the water you use to drink, cook, brush your teeth, and clean. They remove volatile chemicals, industrial chemicals, and chlorine from your drinking water to help improve its taste and keep you, your family, and your employees safe and healthy. Although experts claim that certain levels of these chemicals are safe, why take the chance if you do not have to? In short, Cedar Springs Water offers Newmarket and Aurora residents all of the solutions they need for getting the best-tasting, healthiest water possible. With bottled water delivery and rental or purchase of filtration systems, water purifiers, and water softeners, we have something to fit your budget and your needs. Built for high chlorine areas. A combination system that provides water softening and removes chlorine and clear water iron. Just add water softening salt when required and relax! Latest modern design uses as little as 2.5lbs of water softening salt and 17 gallons of water per regeneration. A combination system that provides water softening and removes chlorine and clear water iron. This simple program is only set once. Just add water softening salt when required and relax! Softens your water and removes up to 5ppm of clear water iron. Once the simple program is set, just add water softening salt when required and relax! Premium high flow control valve to satisfy any household soft water demands. I recently moved into a new home build in Tottenham. Prior to moving in I had heard poor reviews from the town's residents in regards to the water quality. After some research in regards to quality and pricing I turned to Cedar Stream Filtration and spoke with Brent Hayhoe. Through conversation I decided upon purchasing a water softener with carbon filter along with a reverse osmosis system for the kitchen. The system was installed in a short time and without any negative issues. Brent even included a reverse osmosis hookup for our refrigerator at no extra charge. We have been living in our home for the past month and my wife and I love the quality of the reverse osmosis water and throughout the rest of the house. 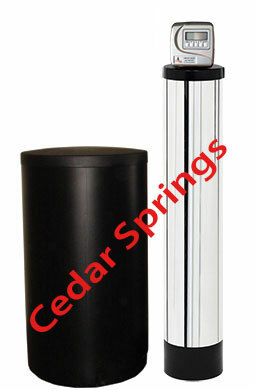 I would recommend Cedar Stream Filtration to anyone who was looking for a water treatment system. 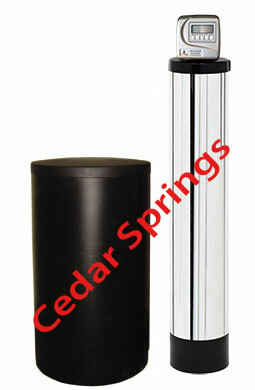 I'm happy I decided to go with Cedar Stream Filtration to install a whole-home water softener. To start, they had a competitive price and delivered a premium product. I was really impressed with the level of service I received as I probably emailed Cedar Stream Filtration about 10 times with various questions and always got quick responses answering all my questions. The folks at the Cedar Stream Filtration Concord office were also a pleasure to deal with. I particularly spoke with Alexandra on a couple occasions and she was exceptional! She was always helpful and pleasant. The installation was done very professionally and now I have great water! Great overall experience and service which is hard to find with a lot of businesses today. Brent and his team are very professional and the installation was quick. It’s been 3 months since we’ve had the water softener installed and to date we are very happy with the product. We have noticed a big difference in our water quality. The service is excellent and Brent has followed up a few times in making sure our water softener is working and if we had any questions. It’s nice to know that he cares and it takes one less stress off of us. 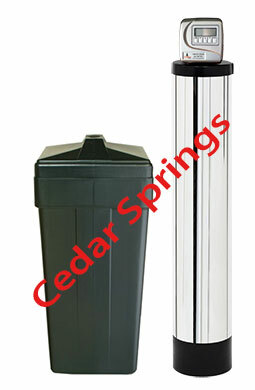 We highly recommend Cedar Stream Filtration. Thank you Brent & team for the great service and product! Mike and I want to thank you and your team for the excellent delivery and installation of our new Cedar Stream Filtration Softener. We have been using it now for about three weeks and I’ve noticed a big improvement in the quality of the water. It is gentler on my skin and hair and our clothes are cleaner. Also, no mineral deposits in the sinks and tub. We appreciate how thorough you were with explaining the products before purchasing. The installer, Jon, worked very independently and quickly. He also gave us complete and easy to understand instructions on the maintenance of the water filter. Overall, it was a most pleasant experience and we are very happy with the product. Just want to say thank you so much for installing the automatic back flushing iron filter it works fantastic, thank you for answering all of my concerns and coming up with the proper solution to the water problem in the new development in Tottenham. The all in one water softener works 99% it got out all the chlorine, smell and 99% of the yellow water but the recommendation to install the iron filter before the softener made it 100%, the bath water is now 100% clear and the ice and water in the fridge taste and looks great because of the RO you installed also. I never did this at my old residence and I should have. Thanks for sending your employee, he did a lot of work and properly I might add, and took his time, also he ran the separate lines for the water taps for outside on both ends of the house, and the drains for the automatic back wash system was done very nicely. Appreciate is patience and time you took on my water system, I definitely would recommend you to anybody else. If you are tired of dry, itchy skin, hair that is limp and hard to color, or using twice the amount of detergent recommended for getting your cleaning jobs done, our water softener products can help. These remove the minerals and metals that make your detergents less effective and leave a residue on your skin, clothes, shower walls, and pipes. With softer water, your soaps work better, your appliances last longer, and your hair and skin will thank you.